George was born in Germany as was his wife Anna Spencer as evidenced by son George Rummel Jr’s death certificate (in the gallery). Copyright (c)2016 – 2018 Emma Blogs, LLC. All rights reserved. Fallasburg Covered Bridge connects to the past. “In my opinion, the village is a more relaxed atmosphere. 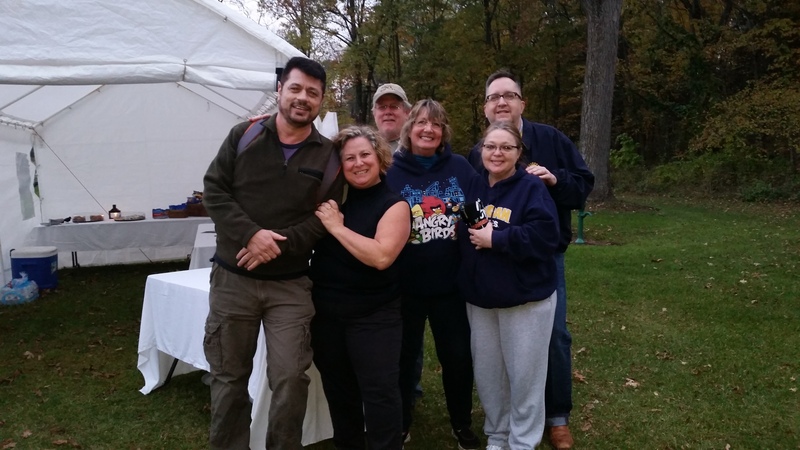 One of my favorite parts of last year’s event, was the camaraderie among the vendors – most of us had not met prior to the event! I am happy to share that a number of vendors this year, were vendors last year,” said bazaar organizer Michelle Emaus. 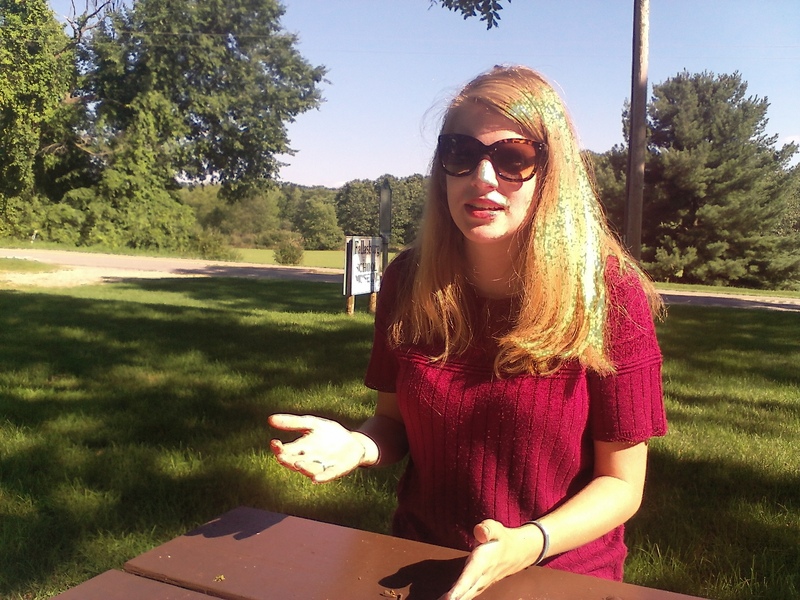 Note: This is the second part of a story about a former Calvin College history intern Katelyn Bosch. 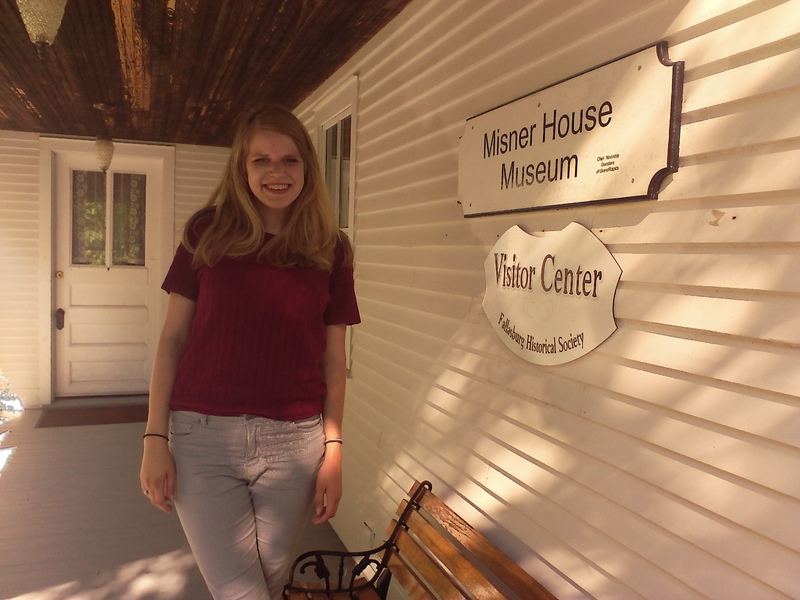 Bosch completed her internship at the Lowell Area Historical Museum and the Fallasburg Historical Society this summer. 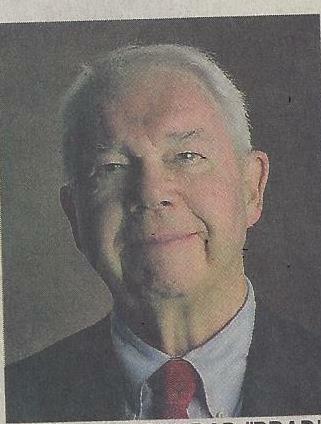 Bosch has laid a foundation for future organizing and computerizing of the FHS artifacts dating back to 1839 when John W. Fallass came to the site. 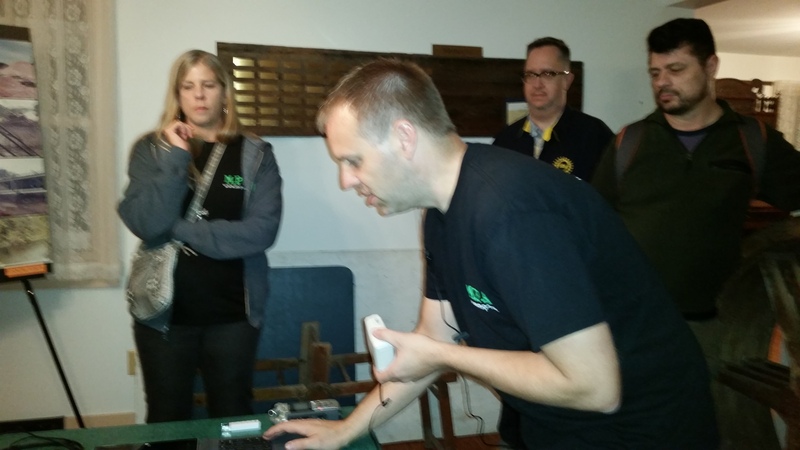 Fallasburg, MI -The internship has strengthened the bond between the two like-minded organizations, FHS and LAHM, while collectively taking part in preserving, and disseminating the knowledge of the local history, according to FHS president Ken Tamke. Calvin College intern Katelyn Bosch assisted Fallasburg with computerization of artifacts. It is the hope that the project of cataloguing and digitalizing the FHS artifacts will continue through another internship. Bosch, who will study public history at the West Virginia University in a two-year program views history as an intellectually dynamic field. That fits in well with Bosch’s love to travel. She took an off-campus program in Great Britain about British film and media. “The Internet is the key to get publicity and to find out about history,” she said. Bosch said she would volunteer again at the local small town museums. 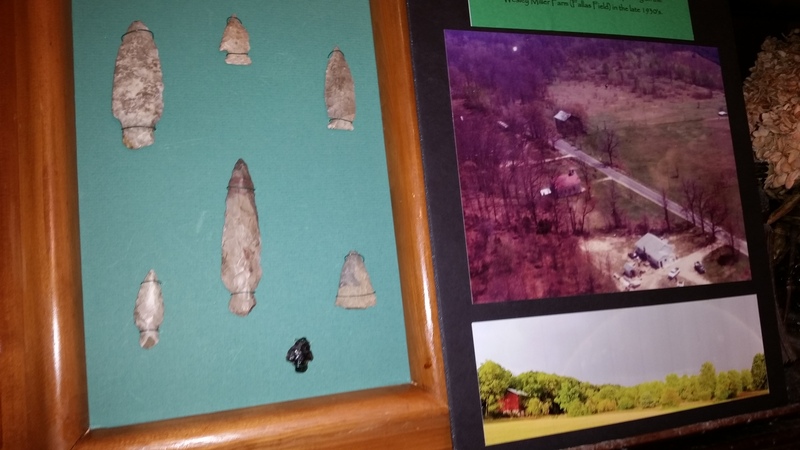 The Fallasburg village, although frozen in time, is moving ahead with its artifacts and pioneer stories coming alive due to modern technology. As such, the village stands at the intersection of two major study disciplines: strategic communications and history. “It’s interesting how people will be looking to find historical documents in the right place,” Bosch said. However, in the meantime, a lot of historical facts, documents and pictures can be found on social media like Pinterest. You can go to Pinterest and put in the keywords Fallasburg or Fallasburg Historical Village, and you will find a collection of information pertaining to the village. You can also contribute your news and artifacts pertaining to Fallasburg. 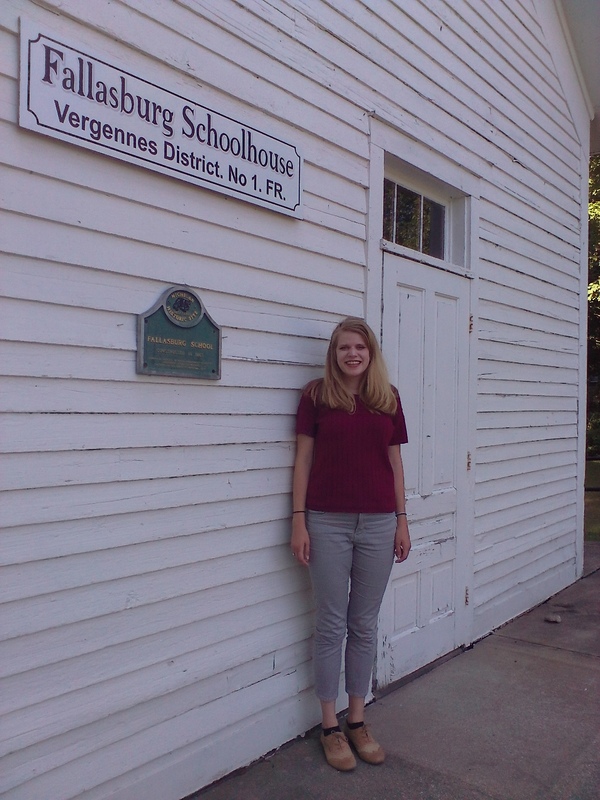 Calvin College intern Katelyn Bosch in front of Fallasburg schoolhouse. Bosch said that the FHS needs to be as interactive as possible with the public. Sign up for Fallasburg Today E-newsletter to stay in the loop. You can sign up either on the Fallasburg Facebook page https://www.facebook.com/Fallasburg-Historical-Society-444666235652842/ or on the blog. Join our Facebook public group Fallasburg Today. The atmosphere hasn’t changed. You hear the wheels hitting the wooden deck of the bridge and rolling slowly, no more than five miles an hour, over the planks. You emerge on the other side of the river in full morning light. And a new day is born. 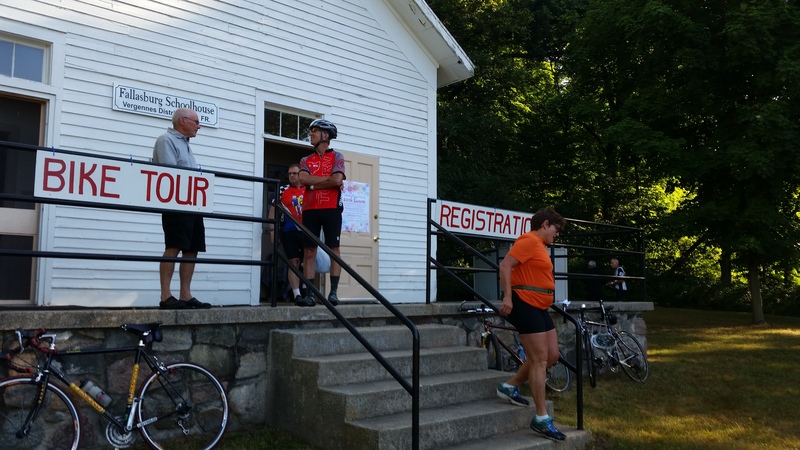 The bikers registered for the 22nd annual Fallasburg Covered Bridge Bike Tour (CBBT) at the one-room schoolhouse museum. The bike tour is the signature fundraising event for the Fallasburg Historical Society (FHS). Registrar Tina Siciliano Cadwallader with niece Devon Siciliano were ready sitting behind the school teacher’s desk with an antique lamp. They had already launched 62 riders with more streaming in by the minute.Outside the schoolhouse, FHS treasurer Alan Rumbaugh handed out route maps. According to Rumbaugh, the most popular ride was the 50-mile route. For Lisa Pohlad of Grand Rapids this was the third year on the Fallasburg CBBT. Pohlad, who was riding solo, decided for the 50-mile route to Coldwater and back to Fallasburg. However, even some tandem bikers picked the 50 route. 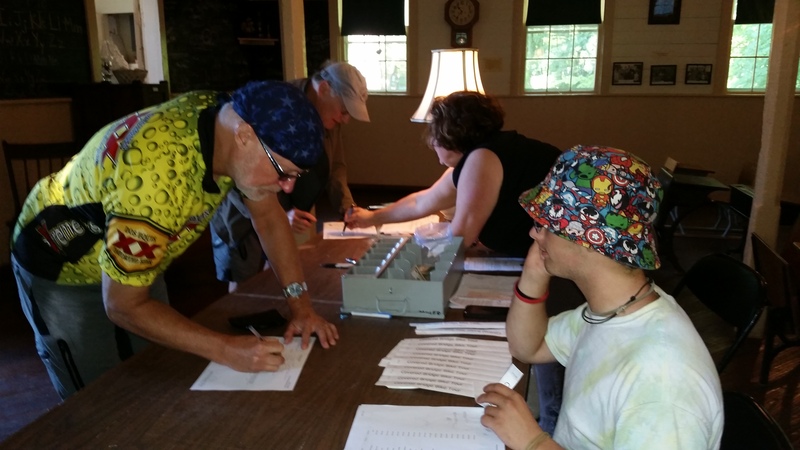 Bikers register at the schoolhouse. Pohlad didn’t think anything needed to be improved with the event. “It’s good as it is,” she said. Most registering bikers asked about root beer which was the paired beverage to the Italian lunch. According to volunteers, the root beer is the jewel of the ride. “Come early or we run out,” said FHS president Ken Tamke. Tamke said he was worried about how many riders will participate. “It’s like having a party and nobody shows up,” he joked. Tamke along with Frank Brechbiel do the SAG (Support and Gear) aka broom wagon ride assisting bikers who need help en route. They sweep the routes for riders who are unable to continue or those who have technical difficulties. Back at the Misner House museum it started getting busy around noon with hungry bikers flocking to the porch. FHS volunteer Dottie Blain was manning the buffet station. Blain made her excellent meatballs that are also served at the annual Christmas party on the second Saturday in December. FHS volunteer Dottie Blain serve signature meatballs at Misner House. 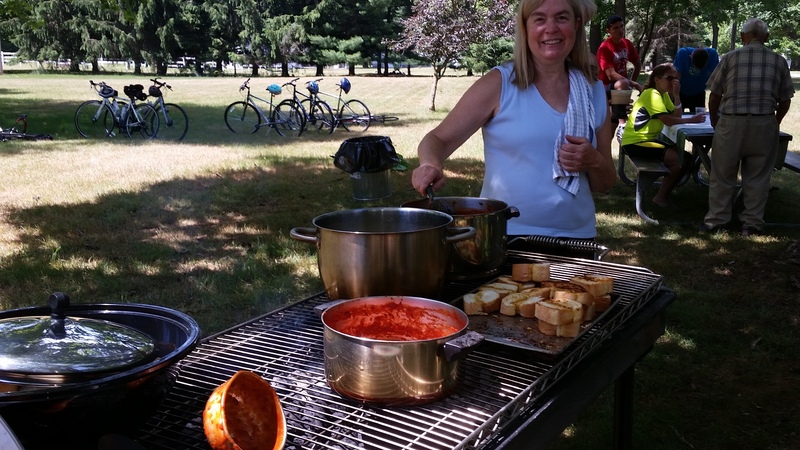 FHS volunteer Patty Brechbiel was in charge of catering the meal for some 120 riders. This included 10 gallons of pasta sauce doctored up for taste with herbs and spices. “That’s unacceptable to leave it just from the jars,” she said. Brechbiel was stationed with her grill by the famous Sprecker’s root beer keg from Wisconsin. “One year we didn’t have it and it was a big disappointment for riders,” she said. Typically, the crew serves food until 4 p.m.
FHS volunteer Patty Brechbiel at the catering station. 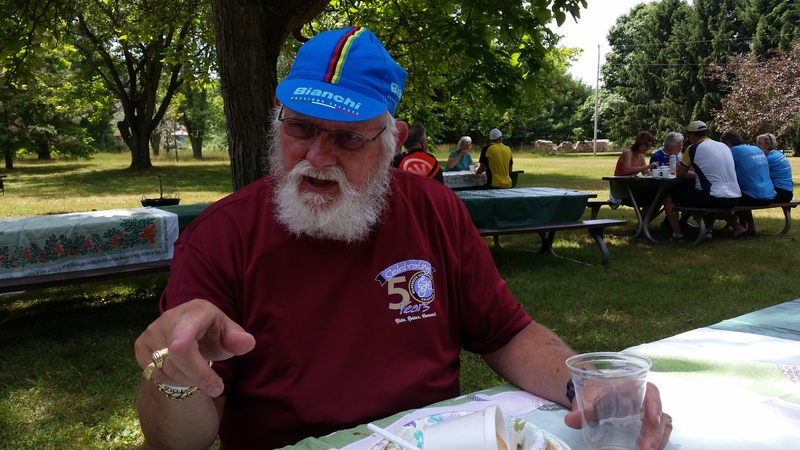 Enjoying his meatball & spaghetti meal after a 62-mile ride, Jim Steenwyk of Dorr was no newcomer to the tour. Steenwyk, 74, is a member of the Rapid Wheelman biking group. He’s been riding bicycles since he turned three. Steenwyk shook his head and sighed. Avid wheelman Jim Steenwyk explains how to avoid torque on the knees when biking. Steenwyk has 27 gears on his Camden road bicycle. And what’s the future for the tour? According to Tamke, some routes may get revamped while staying local. The organizers are considering a new route to Whites Bridge with a kayaking option. 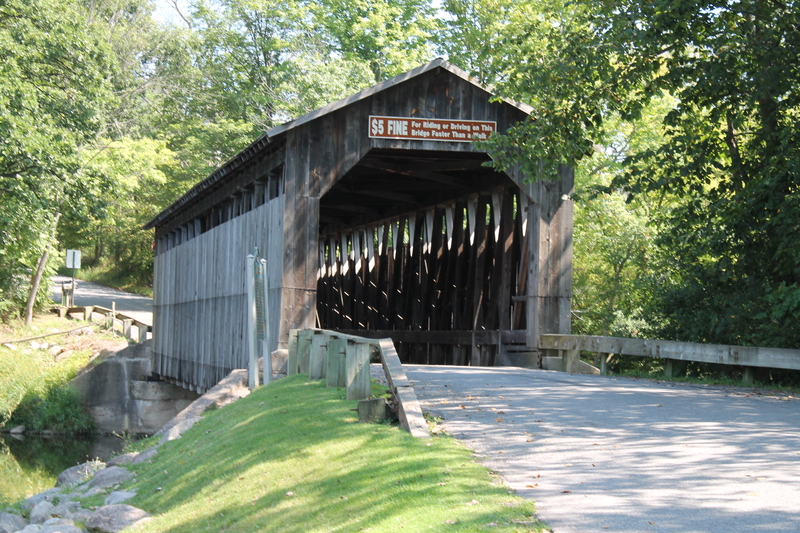 The 23rd Fallasburg Covered Bridge bike tour will be held on Sunday, July 9th with registration from 7 a.m. to 9 a.m. at the one-room schoolhouse museum. Note: Help the FHS improve the bike tour. We are looking for your feedback. Fill out our survey. Thank you. 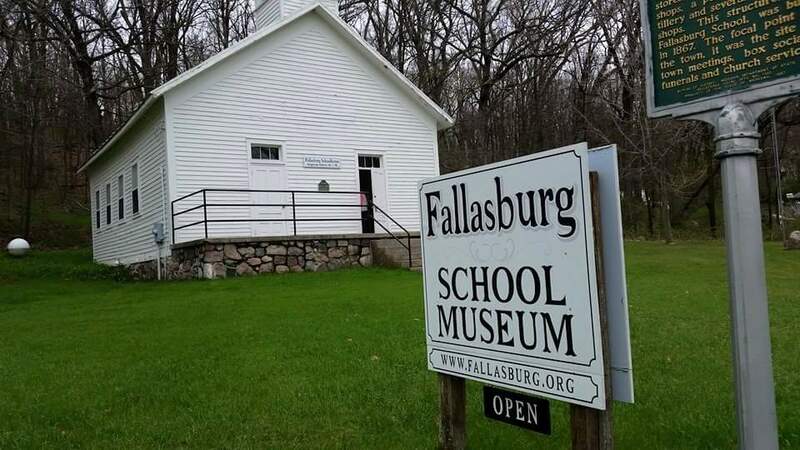 Fallasburg, MI- You don’t have to be a member to explore the treasures of the Fallasburg historical village or visit the schoolhouse museum open on Sundays from 2 p.m. to 4 p.m. You can make an appointment for a tour with your group, friends and students and visit anytime. 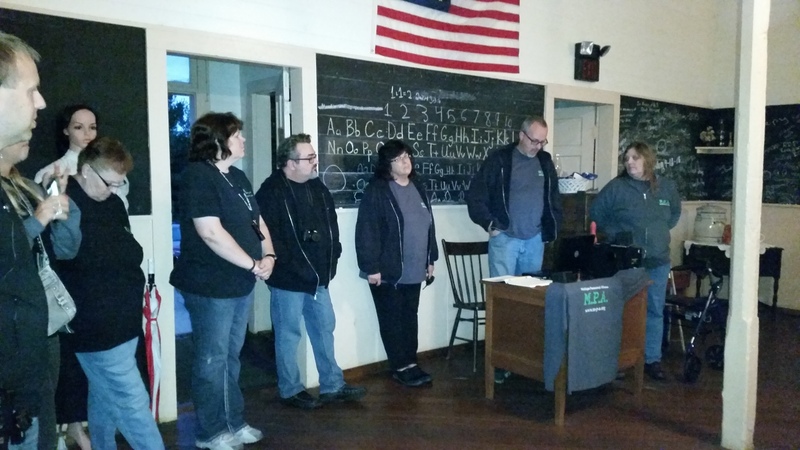 In an effort to reach out to the young generation, the Fallasburg Historical Society (FHS) will give a lesson in history and a tour through the one room schoolhouse to the first graders from Murray Lake Elementary on May 18. 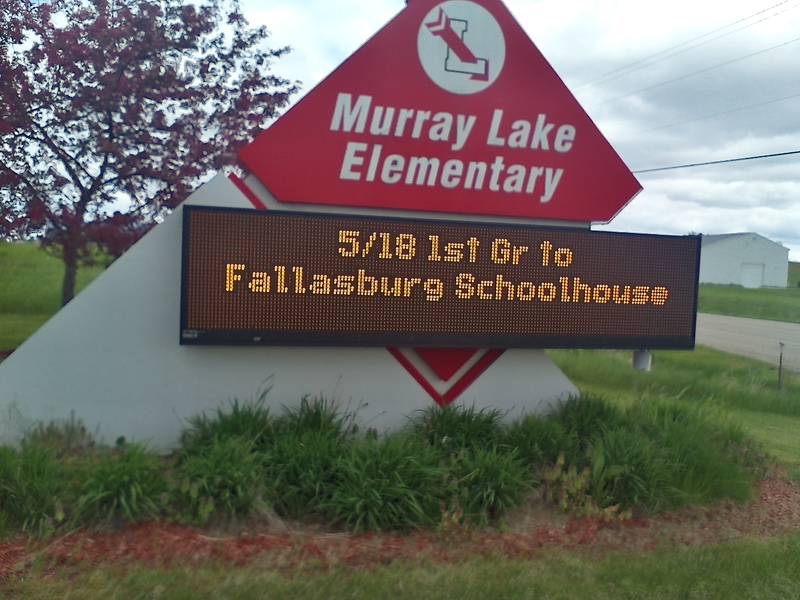 Murray Lake first graders will visit Fallasburg Schoolhouse on Wednesday. The tour will expose the young ones to a bygone, more simple era without modern gadgets and technology. The one-room schoolhouse was constructed in 1867. Founder of the Fallasburg village John Wesley Fallas settled the village in 1840 and donated the land for the construction of a village schoolhouse. The school building remained in use as a day school, church, Sunday school, and revival center until 1979. It was converted into a museum to house the Lowell area artifacts in 1981. The Fallasburg School has a historical significance as one of the oldest schoolhouse buildings in the Lowell area. 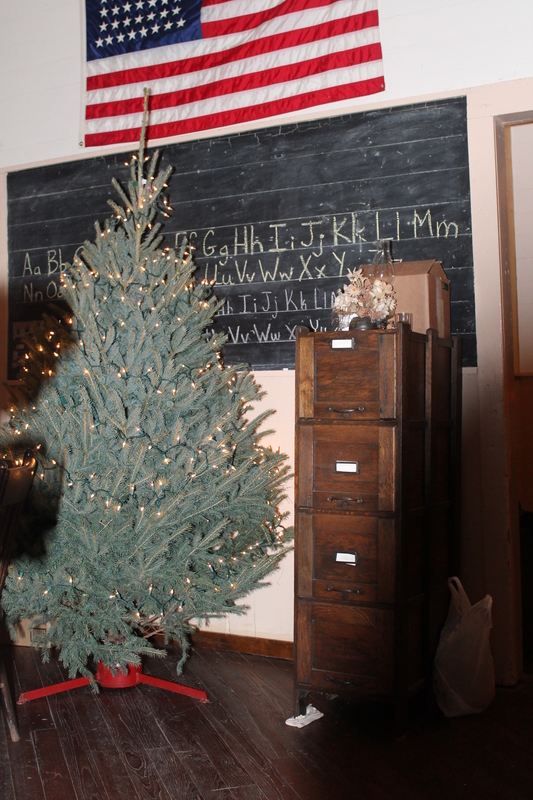 School House Museum – open Sundays 2 p.m. to 4 p.m. -with free admission. Stay tuned for stories from Fallasburg with fourth generation resident Addie Tower Abel. Abel went to the one-room schoolhouse all the way through 8th grade. Abel along with Dottie Blain are avid FHS volunteers. Abel’s mother started the FHS in 1965. “You have to come to a certain age to appreciate it,” Abel said. For a tour appointment e-mail Ken Tamke at kentamke@comcast.net or Emma at emmapalova@yahoo.com. 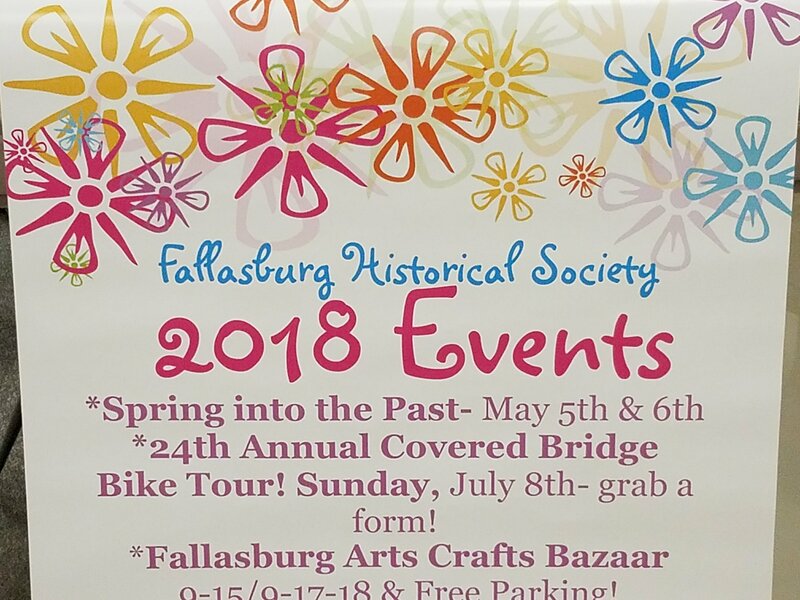 Follow us on social media, facebook and twitter @fallasburg, #fallasburg, #fallasburgbiketour, #fallasburgmuseum, #fallasburgbazaar and more. 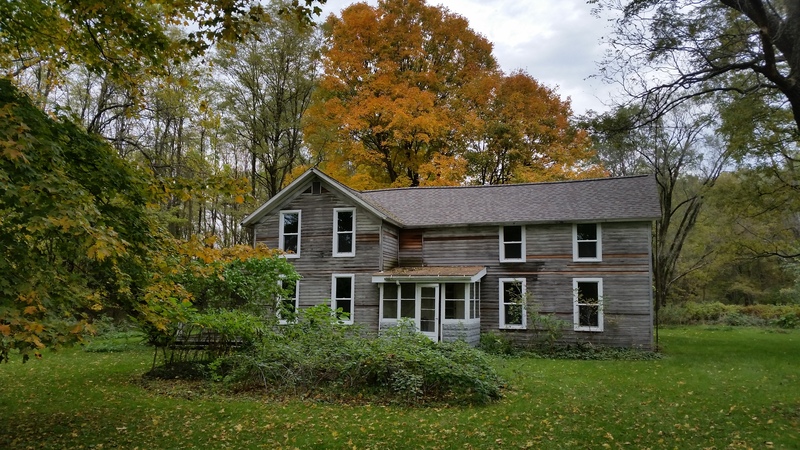 Fallasburg, MI- I am very happy to report the results for 2015. 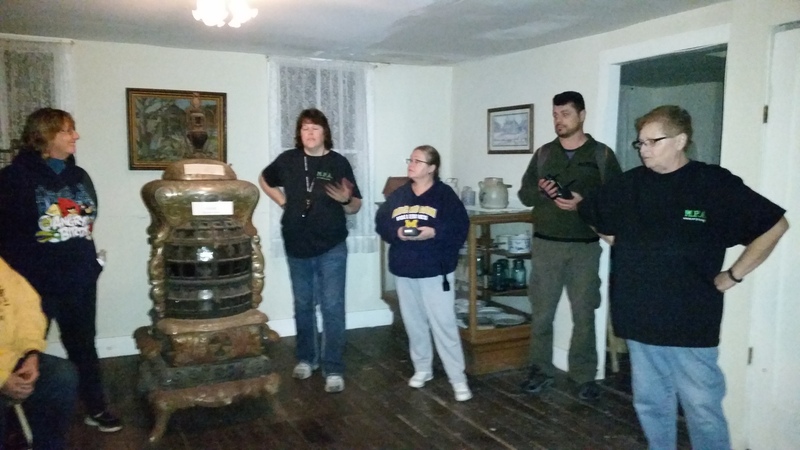 I got on board with the Fallasburg Historical Society (FHS) in August 2015. But, before that I wrote a story about “50 years of historic preservation of Fallasburg” on EW Emma’s Writings. I had known about the anniversary since 2014 when I got an invite from FHS president Ken Tamke to the signature event. The annual Christmas in Fallasburg party is a special treat and a fundraiser. My task was to market the first annual village bazaar in September. So, I did on twitter, Facebook, WordPress, Pinterest, Google + and Instagram. 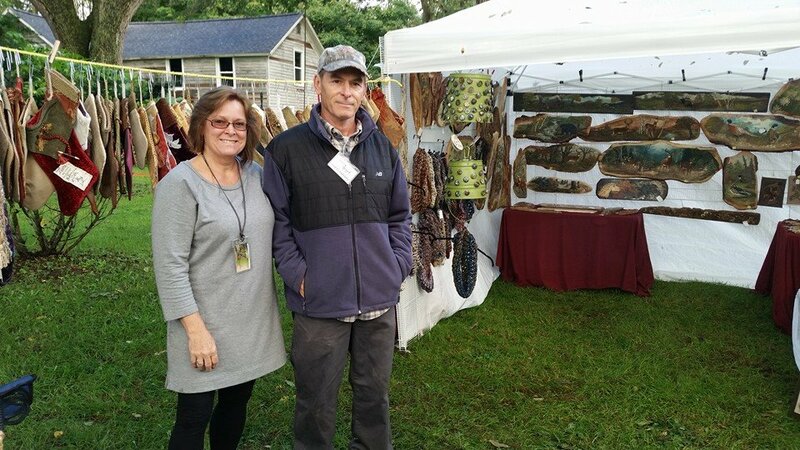 The village bazaar will continue to develop into the future since it does have potential of growth, according to FHS president Ken Tamke. 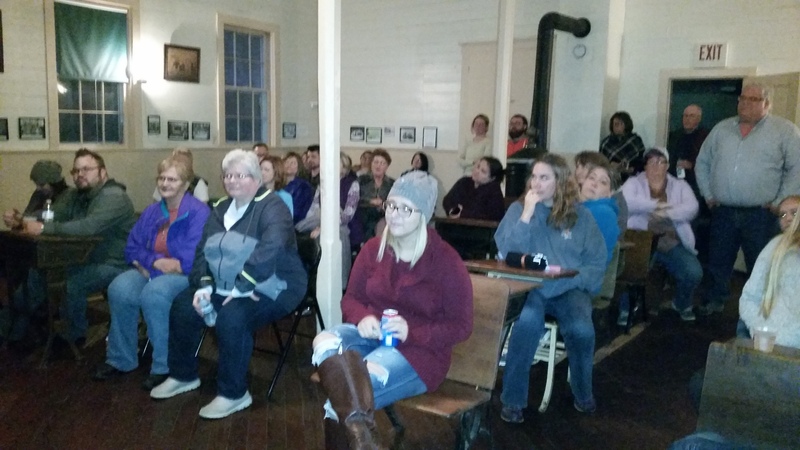 In September, 20 people came to look at the pioneer buildings in the village. I started the first E Newsletter Fallasburg Today on Oct. 1 that launched the campaign. The public group Fallasburg Today on Facebook is up and running and doing very well. It has 161 members and more asking to become members on daily basis. The FHS now has pioneer sponsors, Main Street Inn based in Lowell and Vergennes Broadband. A Fallasburg Today mobile app is ready to go to the stores. I would like to officially thank the many people who have helped with the content. Whenever I consult blogging and writing, I always say the biggest challenge is not the technology but the content. Well, maybe I have changed my mind on that one because I have just completed a 30 Day Content Challenge by Learn to Blog. The challenge has increased followers on everything. I felt the need to write even after the challenge was over. In order to be successful on social media, you must have a constant stream of data and regular postings. It’s a lot like volunteerism. You can never have enough volunteers. Even Santa needed his helpers, the elves. Social media marketing does work in its own bizarre circles when the info comes back to you in a different form. I had heard back from people who lived in the village of Fallasburg and those who went to the one-room schoolhouse. I got some awesome shared photos like the one with the horses crossing the Covered Bridge. The stories do keep coming in. The annual Christmas party on Dec. 12 was a success. 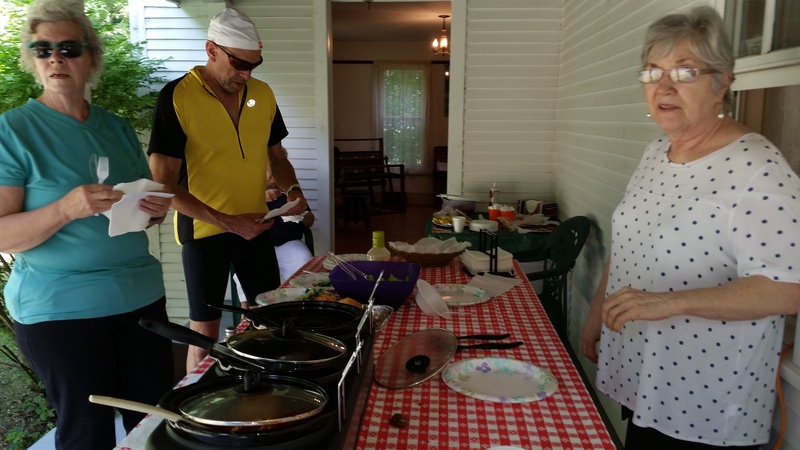 People enjoyed camaraderie and good food. I am looking forward to 2016 with hopes and expectations, both personal and professional. Here’s a list. 1-Continue the Fallasburg Today social media and e-campaign. 2-Consolidate my business Emma Blogs, LLC and expand it. 4-Market all my writings including fiction, stories & screenplay. 5-Participate in webinars and challenges.